Actual photographs, from Reece's awesome camera, to follow in the near future. 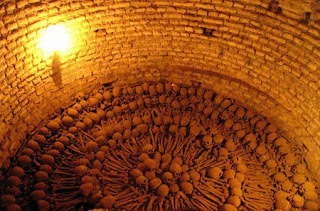 Looks like the Catacombs in France. Buncha dead people, yeah? With cold drippy ceilings as I recall. Pray tell, more details! 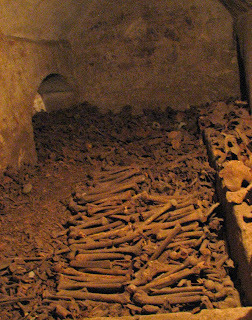 It's the catacombs in the Iglesia de San Francisco. 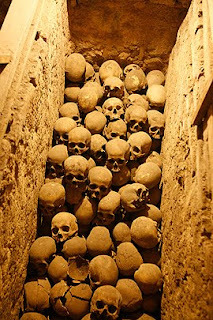 In old town Lima. Who knew? ?